Rated-imMATURE – Naughty Language and Spoilers. rolled spine specials or Rolled Spine Podcasts. Rated-imMATURE – Naughty Language and such. The DCEU Began With Wonder Woman? Rated-imMATURE – This podcast is specifically designed to be hearkened by adult audiences and therefore may be unsuitable for children under 17 or the painfully uptight. Second taste of a new segment on the show, Supposing… a what if imaginary story scenario in which we discuss an elseworld in a parallel reality where things played out differently after one modest butterfly effect type change. This time, Fryhole joins us, so of course we have a Jean-Claude Van Damme tangent you know you want. 27:09 Andrew Jackson: The Musical! Major Elena Larina is white girl Nick Fury. So, Maria Hill? Better or worse than Suicide Squad? 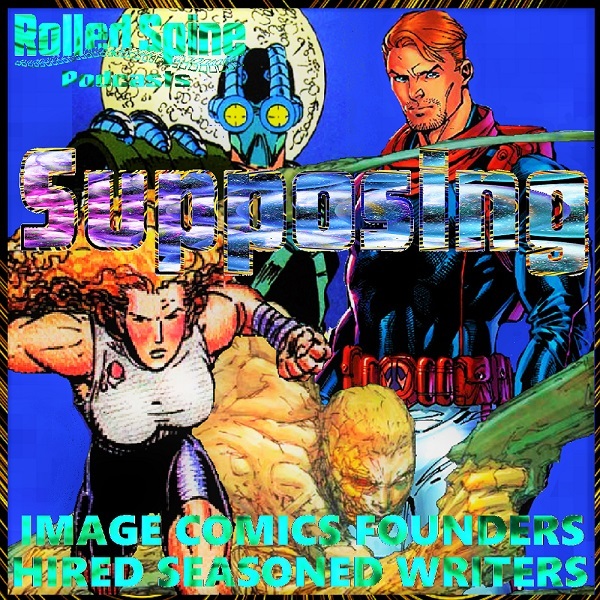 Supposing… The Image Comics Founders Had Hired Seasoned Writers To Launch Their Company? Debuting a new segment on the show, Supposing… a what if imaginary story scenario in which we discuss an elseworld in a parallel reality where things played out differently after one modest butterfly effect type change.